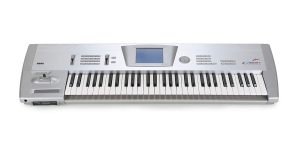 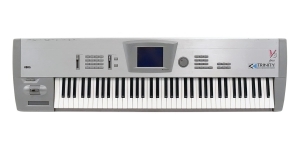 Korg Trinity Pro is a music workstation with an enlarged keyboard that replicates many parameters Korg Trinity instrument features, but has an additional SOLO-TRI expansion board. 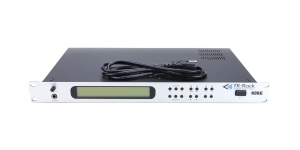 A SOLO-TRI board with a mono synthesizer and 64 additional patches is installed. 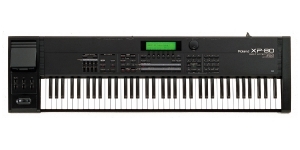 Workstation, Synthesizer, Performance Synthesizer, Digital (D), Voices: 64, Multi Timbral Capacity: 16 part(s), Oscillators per voice: 2, Aftertouch, Size: 7.5, Number of Keys: 76, Production start: 1996.